Previously iPhone Dev-team has developed a new Redsn0w 0.9.13dev1 Tool to successfully Jailbreak iOS 6 beta 1 for iPhone 4, iPhone 3GS, iPod 4G Touch and other A4 Chipset Devices, but now after the launched of new and updated Apple iOS 6 beta 2 Firmware for iPhone 4, iPhone 4S, iPhone 3GS, iPad, iPad 2, The New iPad 3, iPod 4G/3G Touch and Apple TV devices, the latest Redsn0w Tool is required to Unlock and Jailbreak iOS 6 beta 2 for iPhone 4, iPhone 3GS, iPod 4G Touch and other A4 Chipset Devices so iPhone Dev-team has managed to build and developed a new working Redsn0w 0.9.13dev2 Tool to Jailbreak and Unlock iOS 6 beta 2 Firmware running on any Apple iOS devices. Somehow the latest Redsn0w 0.9.13dev2 Jailbreak is tethered which requires iOS device when powered off or rebooted you will need to connect to a PC having a redsn0w installed on it. The latest Jailbreak of iOS 6 beta 2 firmware with Redsn0w 0.9.13dev2 Tool will also require the support of old iOS 6 beta 1 IPSW firmware in Jailbreaking. Remember that this Jailbreak will only work for Apple A4 iOS chipset devices running iOS 6 beta 2. The Tethered Jailbreak of iOS 6 beta 2 will not install Cydia on your iOS devices and also not hacktivate it, but just installed SSH blobs and afc2 only but if you want to install cydia after Jailbreaking of iOS 6 beta 2 Firmware than you can easily Install Cydia on Jailbroken iOS 6 beta 2 firmware for iPhone 4, iPhone 3GS, iPod 4G Touch and other A4 Chipset Devices through this Tutorial and Guide. Now let’s start the Tutorial and Guidelines to Tethered Jailbreak iOS 6 beta 2 with Redsn0w 0.9.13dev2 for iPhone 4, iPhone 3GS, iPod 4G Touch and other A4 Chipset Devices. 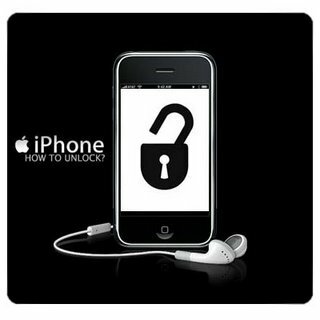 How to Unlock and Jailbreak Apple iOS 6 beta 2 Tethered with Redsn0w 0.9.13dev2? Download the tool package provided above and then follow the following simple steps to Unlock and Jailbreak Apple iOS 6 beta 2 firmware with Redsn0w 0.9.13dev2 running on iPhone 4 (GSM), iPhone 4 (CDMA), iPhone 3GS, iPod 4G Touch and other A4 chipset devices. Step 1: First Download and Install iOS 6 beta 2 Firmware on your iOS Devices. Step 2: Put and Start your iDevice into DFU mode. Step 4: Run Redsn0w 0.9.13dev2 Tool and Click Extras > Select IPSW > and point it to your Apple iOS 6 beta 1 firmware. Step 6: Once the iOS 6 beta Jailbreak has finished, place your device back into DFU mode, and go back to Extras > Select IPSW, and again point to your Apple iOS 6 beta 1 firmware. Once identified, select Just boot from the Extras menu to perform a Tethere Boot. That’s it. Congratulations!! You have protected your Apple idevices and you will never stick on Apple logo again and also you have successfully Tethered Jailbreak iOS 6 beta 2 Firmware. As we told you earlier that this iOS 6 beta 2 Jailbreak won't install Cydia on your device BUT if you want to Install Cydia after Jailbreaking of iOS 6 beta 2 Firmware than you can easily Install Cydia on Jailbroken iOS 6 beta 2 firmware for iPhone 4, iPhone 3GS, iPod 4G Touch and other A4 Chip-set Devices through this Tutorial and Guide. Enjoy! !